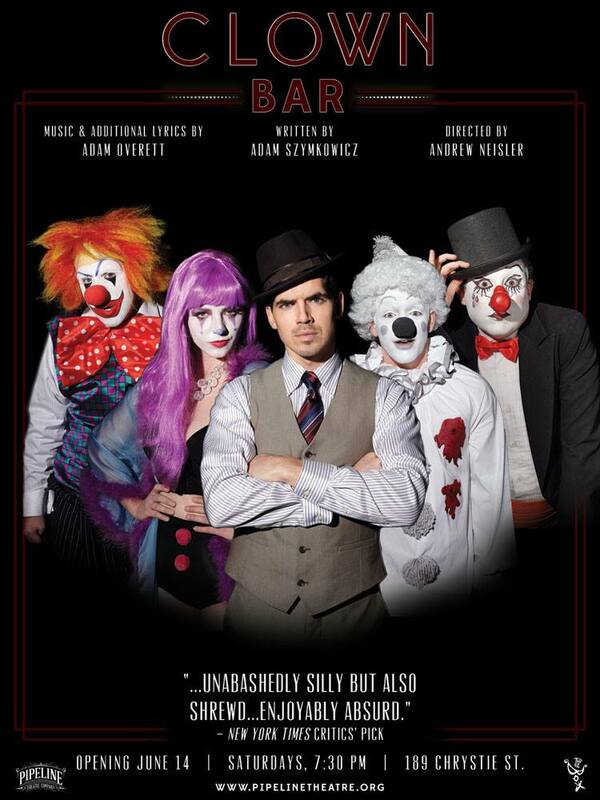 Clown Bar, a clown noir, a must-see, critically acclaimed, one-of-a-kind experience, returns by popular demand to the lower east side this summer. Step into The Box this summer and you’ll find yourself transported to Clown Bar, a speakeasy style cabaret replete with clown mobsters, strippers, crooners, addicts, and one dashing square-jawed detective (who is that?). Put on your red nose, throw back your shot of extra-funny, and get swept into this immersive who-done-it as Happy Mahoney confronts his past in a vengeful attempt to solve his beloved brother Timmy’s murder. Entry begins at 7:30PM. No entry after 8:15PM. Arrive at 7:30PM for dinner, live music, & other delights. © 2019 Shane Correa Zeigler.